The world is entering the Fourth Industrial Revolution (4IR) with the expectation of gaining new achievements and bringing about better life for human race. This revolution, however, causes non-traditional challenges for every nation, including Viet Nam – a developing country with a number of difficulties in socio-economic development and science and technology. Therefore, one of the urgent tasks for us is to find out solutions to overcome these challenges. Weakening defence and security capabilities. 4IR brings about both positive and negative outcomes to all aspects of life in general and to defence and security in particular. It has been creating opportunities for social economic development and defence and security enhancement. While the development of science and technology is robust, our infrastructure facilities have not yet met the demand of defence and security requirements in the new era. In addition, the legal system and regulations to manage and control this development are nonsynchronous. 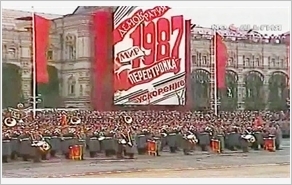 In particular, the control and management of online information are not strict, timely and effective, so hostile forces have taken advantage to conduct propaganda, incite and defame the Party, the regime, lowering the role of armed forces, separating the solidarity among the military, the Party and the people. It somewhat affects objectives and tasks of national defence and security. In a more dangerous manner, recently, taking advantage of 4IR, hostile forces are disseminating the idea of absolutizing weapon and equipment, particularly state-of-art ones; they even boast that artificial intelligence and smart robots will replace human in conducting defence and security tasks, etc. They also criticize the Party and State viewpoints on combining social-economic and cultural development with defence and security consolidation and foreign affairs expansion, preventing the mobilization of resources for defence and security and for armed forces modernization, reducing reservation sources and economic potentials for national defence and security. Deteriorating social order and safety. As we all know, an ordered and safe society is the one with disciplines and sustainable development, in which all citizen can enjoy a safe and secured life, and his or her personal rights are protected on the basic of law and identified social ethics standards. The maintenance of social order and safety includes: preventing and combating crimes and social evils; maintaining public order, traffic order and safety; protecting environment, etc. Nowadays, by applying 4IR achievements, there appear more and more high-tech crimes, such as money laundering and transnational crimes, causing social disorder, slowing economic growth, and increasing the number of families living in hunger and poor conditions, creating spaces for hostile forces to distort information, separate the internal solidarity, erode the trust of people in the Party, the State and the socialism. Creating potentials for armed conflicts in the fighting process to protect defence and security information. At the moment, one of the most prominent impact from 4IR’s non-traditional security challenges is the overwhelming attack of malicious code on national information network in general and defence and security network in particular. Therefore, it is necessary for Vietnam to develop plans, conduct exercises and apply in reality, so as to protect security and safety of information network, especially the defence and security one. Since hostile forces are trying to attack our national data center, aiming at stealing classified information and documents, so to fight against them effectively, a number of measures should be applied, including military actions. It appears that the potential of an armed conflict causing by non-traditional security challenges from 4IR should not be ignored. Firstly, grasping and implementing the Party’s viewpoint of “taking initiative in building, implementing, inspecting and supervising the implementation of programs and plans on responding to climate change, preventing natural disaster in each period of time”. Thoroughly overcoming shortcomings and weaknesses in combining economy with defence, security and culture in strategic areas, assuring the harmonious development of both aspects. The basic solutions laying firm foundation to cope with the non-traditional security challenges from 4IR are to strengthen the assurance of welfare, social equality, hunger irradiation and poverty alleviation, fostering economic growth, improving health care, spiritual and material life of the people, and consolidating defence and security. Secondly, raising awareness and sense of responsibility for people of all walks of life on Homeland protection, meeting the development demand of 4IR. Broadly and thoroughly grasping and conducting education for the whole society on tasks and objectives of Homeland protection in accordance with the Resolution of the 12th National Congress, focusing on key and strategic areas as well as remote, ethnic minority, islands and border areas. Conducting research, suggesting solutions and implementing measures to cope with non-traditional security challenges. Thirdly, creating firm foundation to prevent and effectively fight against non-traditional security challenges. Improving the quality of forecasting, especially the natural disaster warning, climate change supervision; resolutely maintaining political, social-economic stability; strengthening relations with neighboring countries, building the land border of peace, friendship, cooperation and development; enhancing responsibility of each individual, organizations, agencies, and armed forces for preventing and coping with natural disaster, responding to climate change and conducting search and rescue; taking initiative in building plans to prevent and fight against these challenges; conducting exercises and training in accordance with ratified plans; preparing both human resources and equipment to timely respond to incidents. Fourthly, socializing the task of responding to non-traditional security challenges, encouraging the participation of people from all walks of life, companies and investors. It is necessary to clearly assign tasks for each agency and locality to organize forces and mobilize on-spot equipment, coordinating with mobile force and equipment from other places to timely and effectively cope with them. Attention should be paid to border, islands, and remote areas. Fifthly, strengthening diplomatic relations, enhancing capability to cope with non-traditional security challenges. Adequately focusing on and effectively using the international assistance resources for key national facilities, climate change responding programs; accelerating the cooperation with international organizations, security agencies of other countries to cope with non-traditional security challenges, fighting against terrorism and trans-border crimes, building legal corridor and building cooperation mechanisms. Focusing on the cooperation with ASEAN countries in training, conducting exercises, responding to natural disasters, and conducting humanitarian aids; having relevant programs and plans to respond to climate change and natural disaster, making contribution to reducing the impacts of non-traditional security challenges emerging from the Fourth Industrial Revolution.